The circumstances in which Yohan Cabaye claimed Ligue 1 success with Lille and Paris Saint-Germain are perhaps the most contrasting of any multiple title-winner. The France international came to prominence as part of Rudi Garcia’s Lille side that won the Double in 2011 and then, via a couple of years at Newcastle, he claimed two further championship crowns with PSG. Lille were not exactly a Leicester-esque bolt from the blue. Marseille and Bordeaux had won Ligue 1 in the two preceding years as Lyon’s seven-year procession was ended, while Montpellier sneaked in their first title in 2012. In that brief period before PSG’s dominance began, the battleground was much less certain. Lille were also European regulars with six top-five finishes to their name over the previous decade. But the 2011 league title and the Coupe de France were their first major trophies since 1955, so it’s fair to say their achievements were nevertheless surprising. “We were really confident, week after week after week. Our thoughts were just positive,” Cabaye says about that Lille team, which then saw its talent sprinkled across the continent. Alongside Cabaye, Garcia’s all-conquering side featured Gervinho, Moussa Sow, Adil Rami, Mathieu Debuchy, veteran goalkeeper Mickael Landreau and a brilliant 19-year-old from Belgian named Eden Hazard. It’s no wonder they were confident. At PSG, of course, it would have been a shock had the Qatari-backed behemoths not enjoyed handsome success: Cabaye’s two Ligue 1 medals were won by nine and eight points respectively. Winning didn’t necessarily come easier, though, as Cabaye and his teammates faced a different kind of pressure. “With Lille, no one was expecting us to win the league,” he says. “We played well in one or two seasons before, but to win a championship…it’s so long, so difficult. Cabaye’s second season at PSG saw the champions, if not struggle in the first half of the campaign, certainly fail to bulldoze the league as expected. The previous year they reached top spot in mid-October and didn’t relinquish it. In 2014/15, they endured a testing spell around the turn of the year and briefly dropped to fourth before turning things around. Just as PSG are behind Nice and Monaco in the current campaign, winning Ligue 1 was not always the cakewalk it seemed. Cabaye believes that owes a lot to the improvement of relatively smaller clubs. That might partly explain his move to Crystal Palace in the summer of 2015. Cabaye wasn’t a regular in his second season in Paris, but when it became clear he was available it was perhaps surprising that he didn’t choose a more high-profile club, one more traditionally in the hunt for trophies. Leicester last season were an obvious outlier, but also an inspiration for teams like Palace – who reached the FA Cup final in May – that something more than simply treading water is achievable. “Every team now has a fantastic squad,” says Cabaye. “They can buy big players in every league. Every team improved themselves, now it’s more difficult than last season to win games. That plan has stalled somewhat at the moment, with Palace hovering around the relegation zone with the sense they are a team still finding their way. 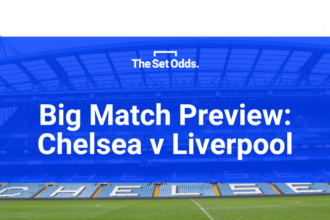 Expensive new players have arrived, such as club-record signing Christian Benteke, which has precipitated a move to a new style of play, something that would inevitably make the early months of the campaign tricky. “Some good things, some bad things,” says Cabaye with a slight smile, when asked to sum up the first quarter of the season. Still, even with that challenging start to the campaign, Cabaye is looking up: “The quality we have, we can target the top ten.” With his experiences in France in mind, there’s certainly reason to be optimistic. 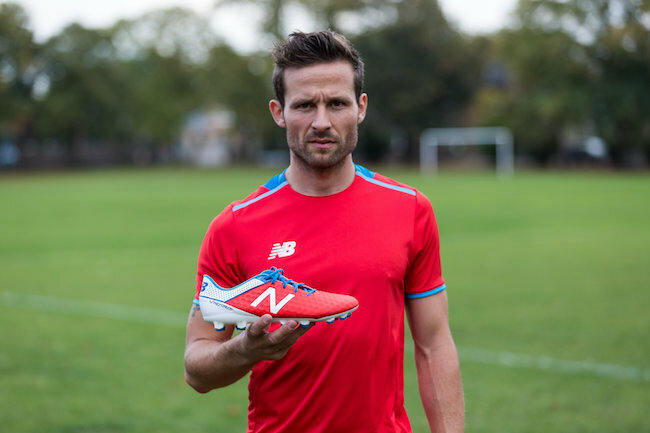 Yohan Cabaye wears the new Atomic/Barracuda New Balance Football Visaro boots. To find out more about New Balance Football go to newbalance.com/football or follow @NBFootball on Twitter and Instagram, @nbfootballofficial on Facebook and NB.Football on Snapchat.